OF THE ORGANISATION Established in 1994 with the assistance of the British Council Romania and the Academy of Economic Studies Bucharest, PROSPER-ASE has been the first language centre of this type in the country. From the very beginning, it has been actively involved in promoting European values and initiatives, so as to meet the ever-growing demand for professional communication, through high quality services in the fields of language training and testing, with the specific aim of assisting Romania’s EU integration process. 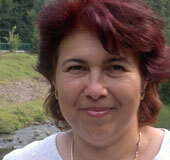 PROSPER-ASE is co-founder and full member of The Romanian Association for Quality Language Services QUEST Romania, as well as founder member of the International Consortium Eupharia – Translating the PHARE Languages. As a result of teacher training organised and conducted for teachers, inspectors and mentors, in 2000 it has been included by the Minister of Education in the national system of continuing education. Research activities and capabilities in specific areas (e.g. feasibility study re country-wide implementation of the ELP and EUROPASS), in cooperation with a research institute and university departments. The size of the institution: 4 full-time staff members, over 20 part-time teachers/language trainers/assessors, depending on involvement in contracts and projects. Refine – a European project on the recognition of non-formal and informal education. PROSPER-ASE participated as a member, carrying out piloting and research activities. EXPERIENCE AND EXPERTISE OF THE ORGANIZATION IN THE PROJECT’S SUBJECT AREA As indicated above, PROSPER-ASE has been involved in several European projects which gained the European Label. As university teaching staff, most collaborators of PROSPER-ASE are very familiar with the activities of the NELLIP project, such as research, organisation of conferences, networking and dissemination. Our extensive experience in these fields is confirmed not only by the numerous scientific articles published, but also by the professionalism and dedication demonstrated in carrying out the dissemination activities of the EuroIntegrELP project, among others. CONTRIBUTIONS THAT CAN BE PROVIDED TO THE PROJECT PROSPER-ASE promotes strategic co-operation links with university departments, with all the QUEST Romania member centres, with other national associations in the region, as well as with ministry departments, language teachers' associations and other like-minded partners, co-organising teacher training programmes, teacher development events, national and international conferences, etc. Through the professional network of networks, consolidated over more than one decade, PROSPER-ASE can contribute to enhance the effectiveness of synergies among projects and different categories of institutions (both public and private), so as to contribute to better valorisation of project outcomes addressing new target audiences, adapting the instruments and dissemination processes to new contexts. REASONS OF INVOLVEMENT IN THE PROJECT By participating actively, both as a member and as a coordinator, in several European projects which were awarded the European Label, PROSPER-ASE Language Centre has gained an important amount of experience that will allow it to bring a valuable contribution to the implementation of the NELLIP project. Co-ordinator of three ECML/CoE projects on Quality Assurance, co-promoter of the EuroIntegrELP project (together with Liliana Dellevoet), combining academic research skills, with teacher training expertise (desigining and coordinating complex teacher development programmes, both within the framework of PROSPER-ASE/ QUEST Romania and at the Univ. Dept. ; Director of an interdisciplinary Teacher Education Master programme at the University of Economics; experienced inspector, inspector trainer and consultant, both at national and European level; author and co-author of articles in the field; book on "Monitoring Professional Development in an Educational NGO. 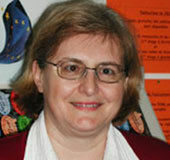 Promoter of the EuroIntegrELP project (together with Laura Muresan); Cambridge ESOL and IELTS examiner; co-ordinator of LCCI Teacher Training courses for teachers of Business English; co-ordinator of assessor calibration courses (for several languages: EN, PT, ES); experienced teacher trainer and mentor, with professional interest in the area of Quality Assurance; author and co-author of relevant articles in the field.